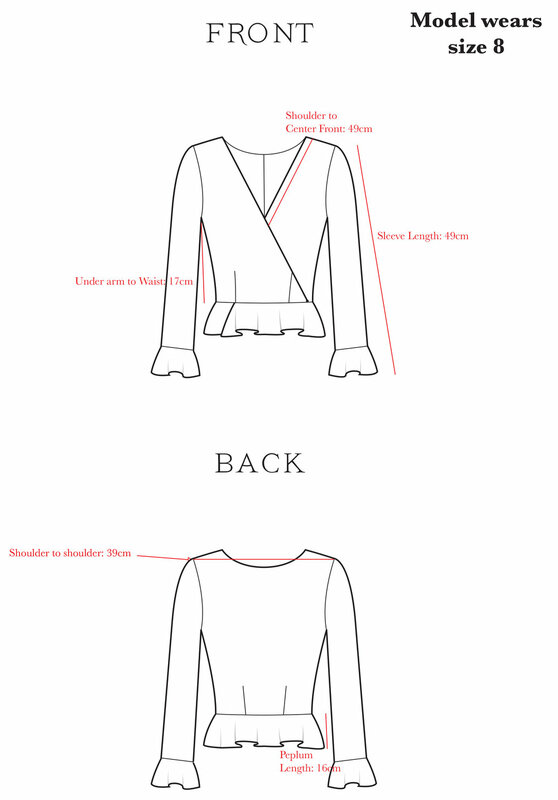 Our Emily top is a wrap top that fastens on the inside and outside at the side with a button. It is also reversible so that you can have two different option. The peplums gives the top a feminine and elegant style to it too! If you would prefer to have this top in a different print and/or reverse colour then please email sales@isabelmanns.com stating what you would like. If you are unsure of your size or would like to see the fabric and our sample please do not hesitate to call or email us. As this top is made from silk satin the fabric is delicate we ask that you choose the correct size so that the fabric does not pull. 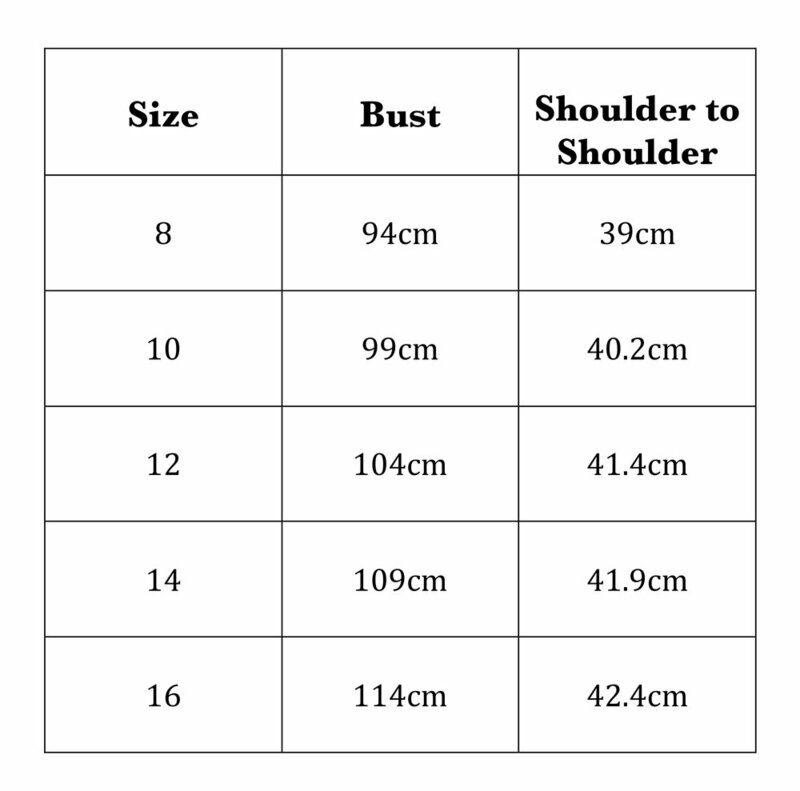 This top is not meant to be tight around your arms or back, so if you feel that the measurements could be a little tight please choose one size bigger. Please consider that these measurements are of the item of clothing and how they will fit on your body. To see our size guide of body measurements please click here.